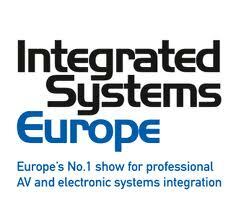 I’m heading off to Amsterdam for one of the top shows in our industry – Integrated Systems Europe. The show covers everything from digital signage to telecollaboration technologies to visualization systems. Once I shake off the jet-lag, I’ll be attending the conference, meeting with partners and colleagues, and generally taking the pulse of the A/V industry. I’ll be sure to post about technologies that seem interesting.